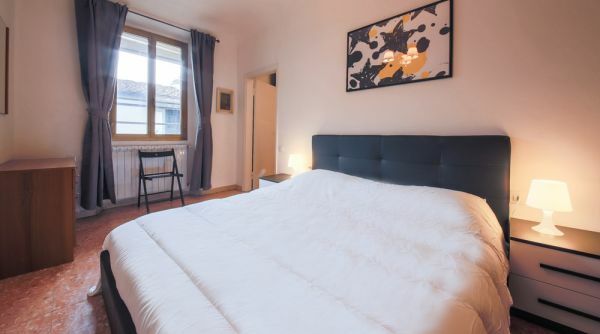 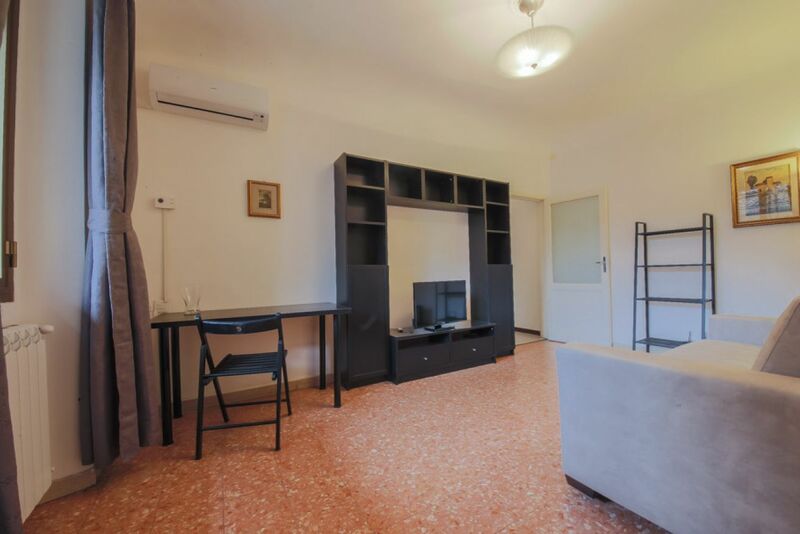 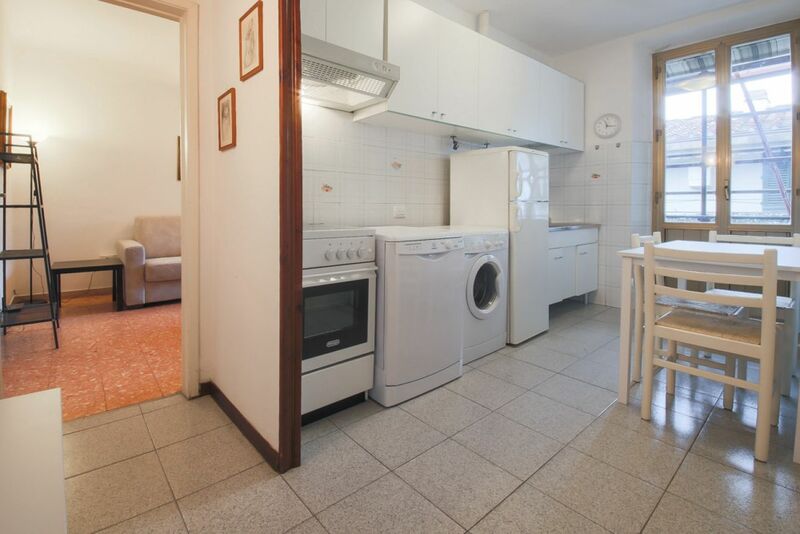 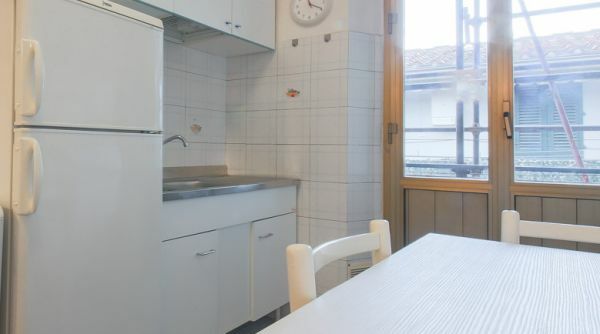 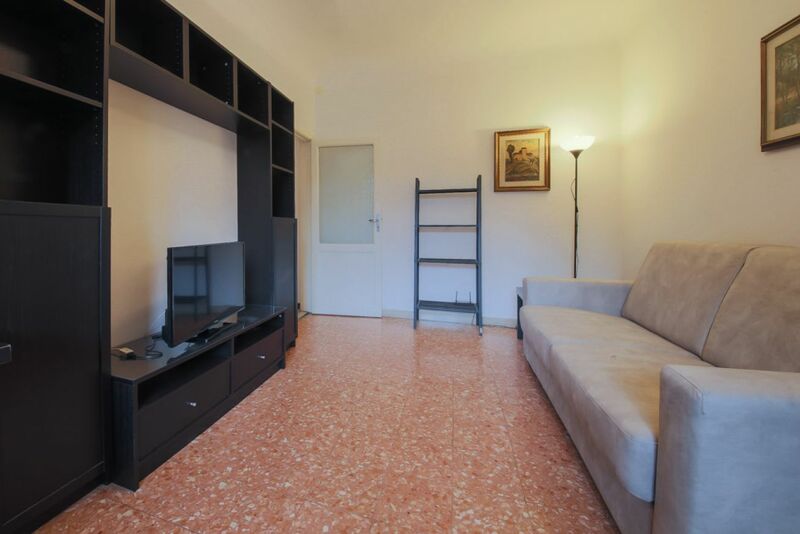 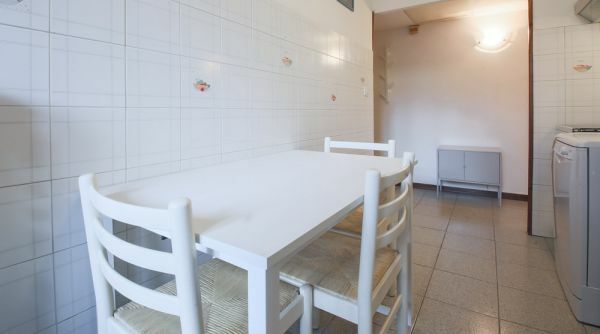 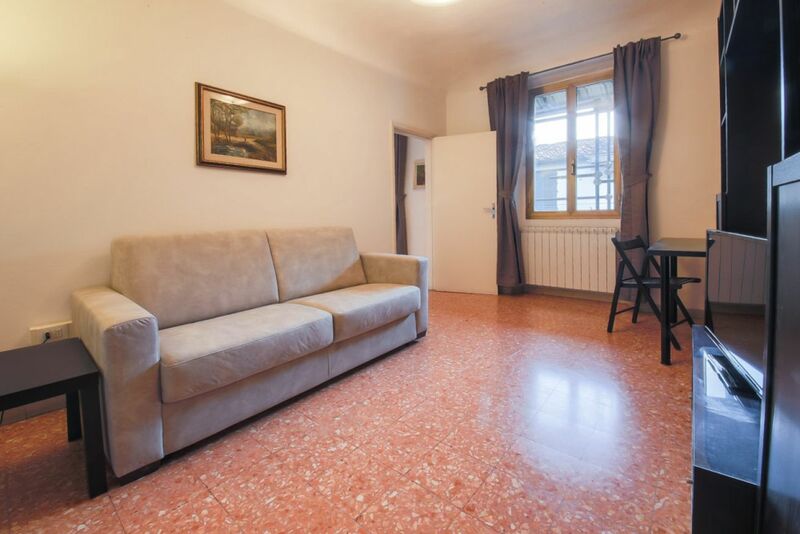 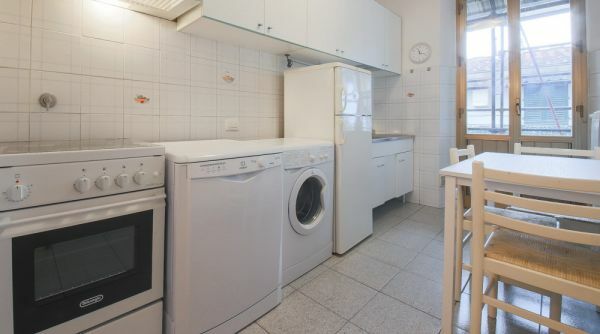 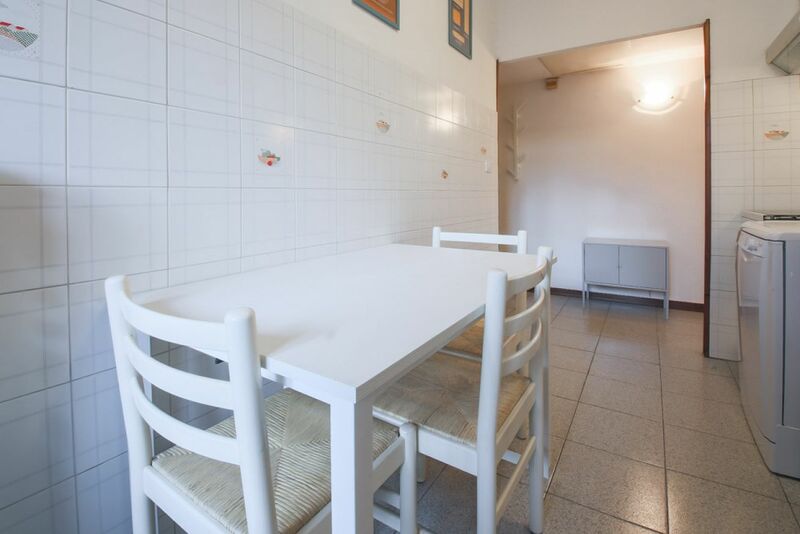 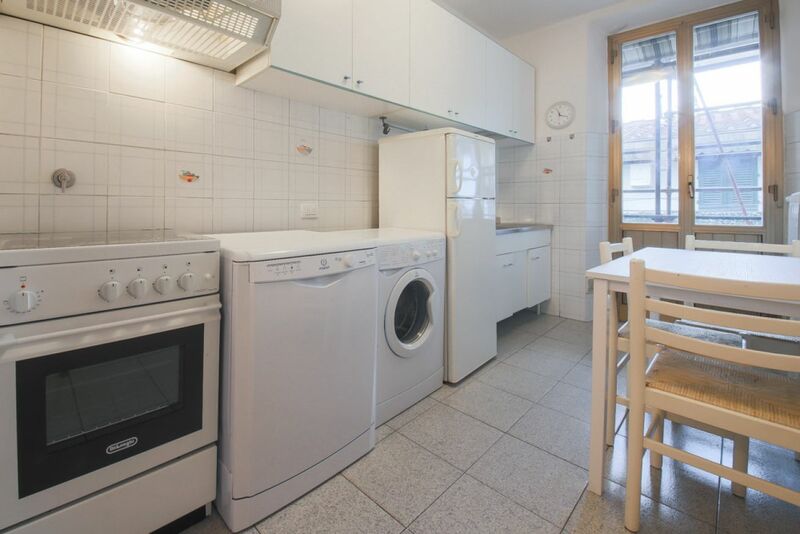 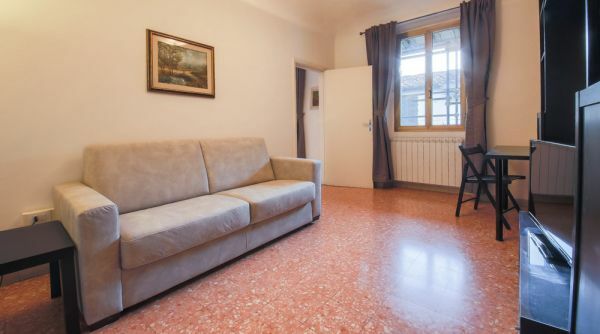 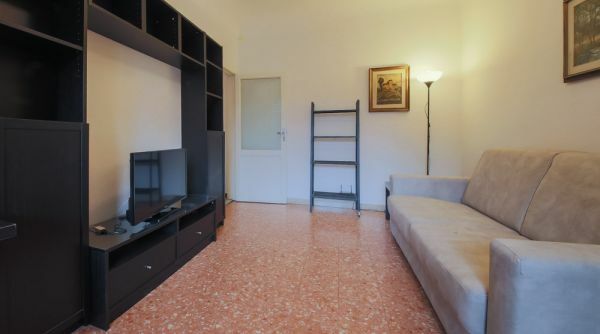 This lovely one-bedroom apartment is located on a really central street just few minutes’ walk from the main train station Santa Maria Novella. 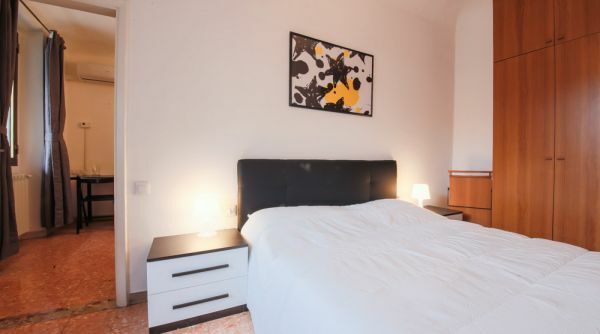 All the attractions of the city are 10 to 15 minutes away. 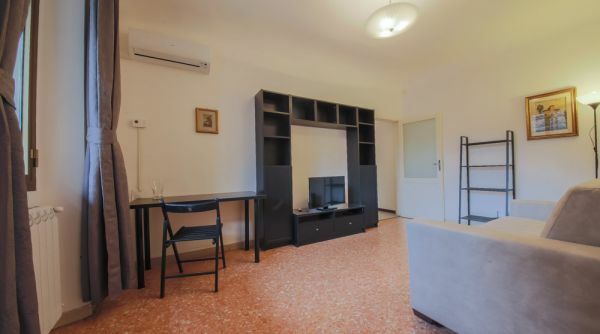 You are very close to one of the main streets Via Nazionale full of cafés, shops and the city’s main food market Mercato Centrale is steps away. 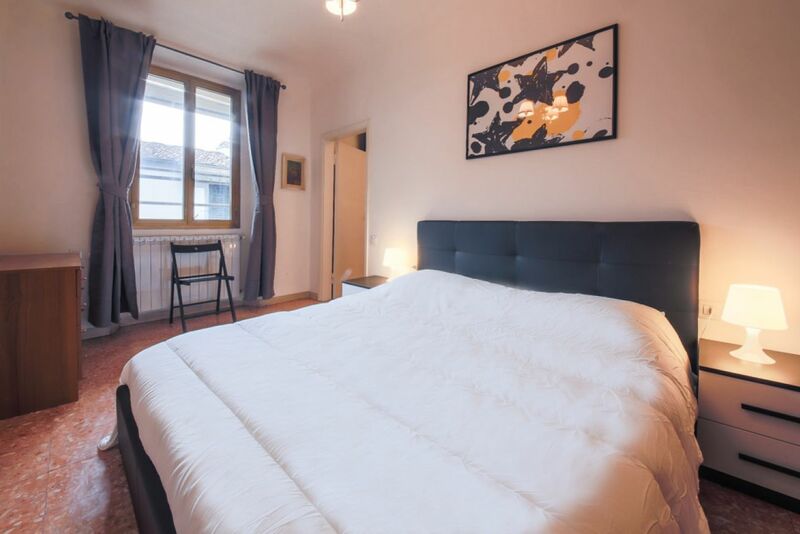 Illuminated with generous natural light this one bedroom holiday rental is located on the second floor without an elevator of a residential building next to Fortezza da Basso. 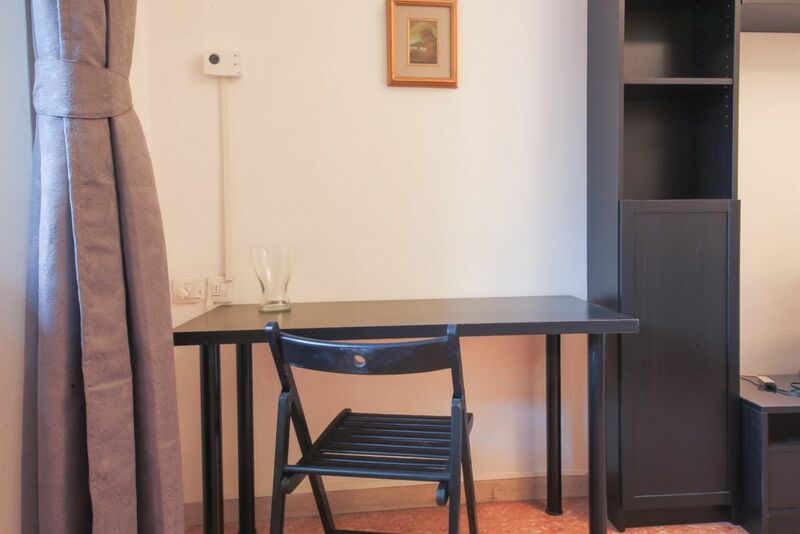 Peculiarities of the apartment is a bright balcony facing the inner courtyard, equipped with relaxing area which overlooks the private garden of the apartment building. 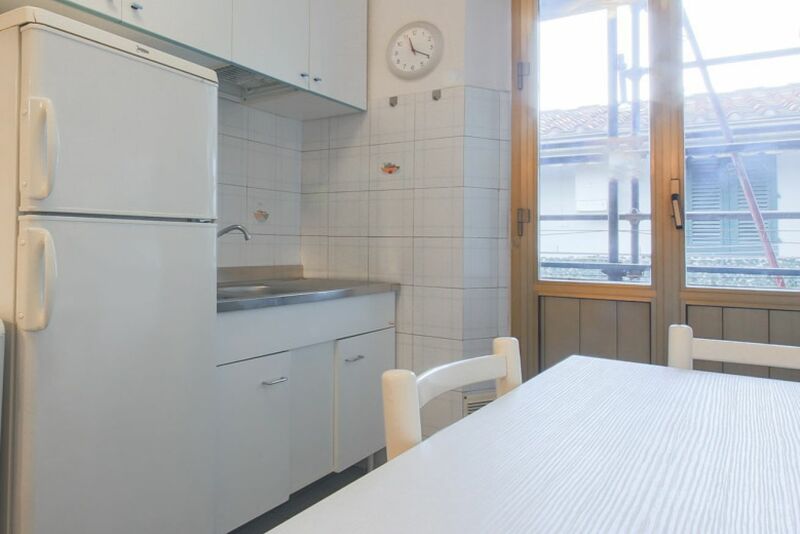 Entering the apartment you will find yourself directly in the kitchen which directly leans out on the terrace with the possibility to have breakfast outdoors, well equipped with: refrigerator, dishwasher, stove, oven and washing machine. 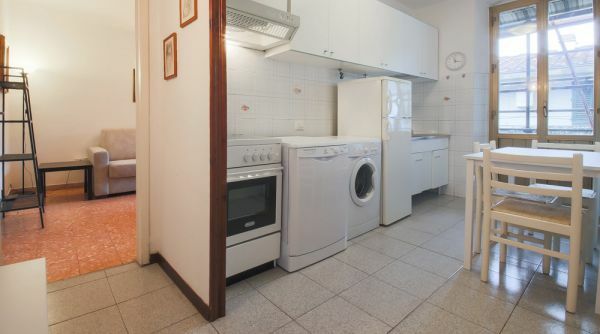 The bathroom offers a shower and a hair dryer. 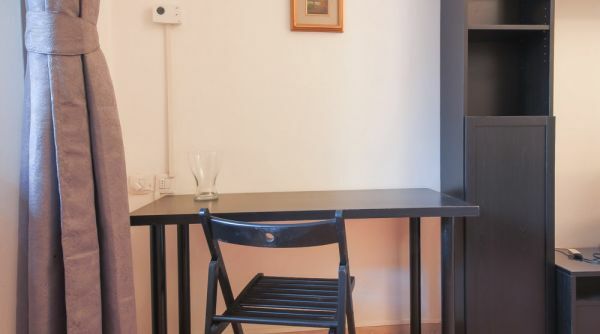 The living room features a Tv and a sofa-bed and a little study table next to the window. 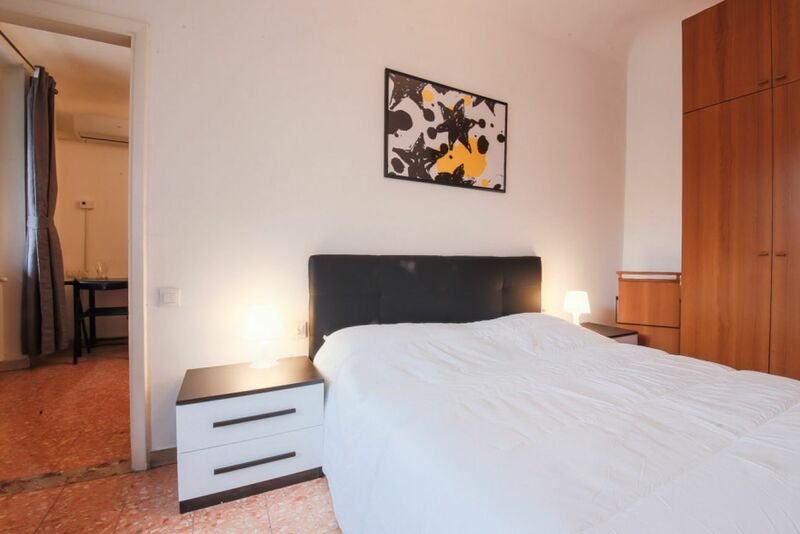 The bedroom has a double bed with a large closet where you can store all your belongings.